This past week I attended the University of Utah basketball game. Once we arrived, we checked with the usher to verify where our seats were and she directed us. As we got to our seats we noticed there were already people sitting there. Since there were plenty of seats around we weren't too worried about it and just sat in the next row behind. Shortly after, another group of people came informing us that we were now in their seats. I felt that the way they approached us about the situation was less than kind, especially after we had just "so kindly" let those in our seats remain in our seats. So again, we moved back a row. Bothered by this situation, I examined our tickets, and just then realized that we not only had seats in the original row, but that we also had seats in the row we had just been "so rudely" kicked out of. Those people were now in our seats. I sat there feeling quite bothered and even mistreated until I received ALL the facts. Still trying to prove our innocence, I looked around to once again verify that the other people had been mistaken. What I discovered as I gathered all of the correct information was that this whole time we had been in the right row, the right seats, but the completely wrong section. Just one section over were our real seats, completely vacant. At first I thought I had it all right. In fact, we had even checked with the usher to verify our seats. She directed us, and we only listened to half of the directions, missing one vital step. Now I know this seems like a silly little story, but it was quite humbling for me and I learned a few lessons. When we first arrived and realized people were sitting in our seats I felt like I was being so kind and doing them a huge favor by not asking them to leave. What I didn't realize was that when I thought I was doing them a "huge favor", I was really just allowing them to continue sitting exactly where they were supposed to sit. They were already "in the right". I was the one who did not have all the facts. On the flip side, when I was then approached about being in someone else's seats, I was bothered that they hadn't had the same courtesy. What I failed to realize was that I was the one who had been wrong all along. I wasn't where I was supposed to be. Unfortunately, I spent a good portion of the game feeling frustrated and mistreated. I sincerely felt like I had been wronged. It wasn't until I had all of the facts that I realized I was actually the one who had made the error. I had sincerely felt like I had been mistreated by those who told us to move, especially since I thought they were wrong. However, once I saw the whole picture, I realized they had every right to ask us to move. We were in their seats. They had all the facts. I did not. I allowed myself to become offended, because I didn't see the whole picture. I allowed myself to forget why I was there (to enjoy the game) because I was so caught up in trying to "prove them wrong". The other people were not intending to offend me. They were just giving me the facts that I clearly didn't have. This situation, however insignificant, was very humbling for me. I was looking for every excuse to be offended and every reason to prove the other people wrong. What I failed to look for were the facts. The true, honest, facts. It is human nature to point fingers and pass blame. It takes courage and strength to accept and admit to mistakes. LESSON #4: TRUST THE "USHER"
Making judgement calls without having all of the facts can lead you to falling off course. Without all the puzzle pieces, your view of the entire picture can become distorted. I didn't listen clearly to the directions given to us by the Usher. She knew where our seats were and how to get us there. By not listening and heeding her directions we ended up in the wrong section. I thought I knew better, I thought I was right, and because of that, I didn't listen. It is easy to trust in God when everything is easy. It seems so simple to follow the rules when the rules are simple. But that is not the plan. We have been asked to trust in the Lord with all our heart, not just part of our heart. We are admonished not to "lean unto our own understanding" (or the world's understanding), but rather lean on HIS understanding. We are expected to acknowledge Him in all our ways, not just when it is easy, convenient, or popular. Just because we might not "understand" or "like" God's plan, does not make it any less correct, true, or right. 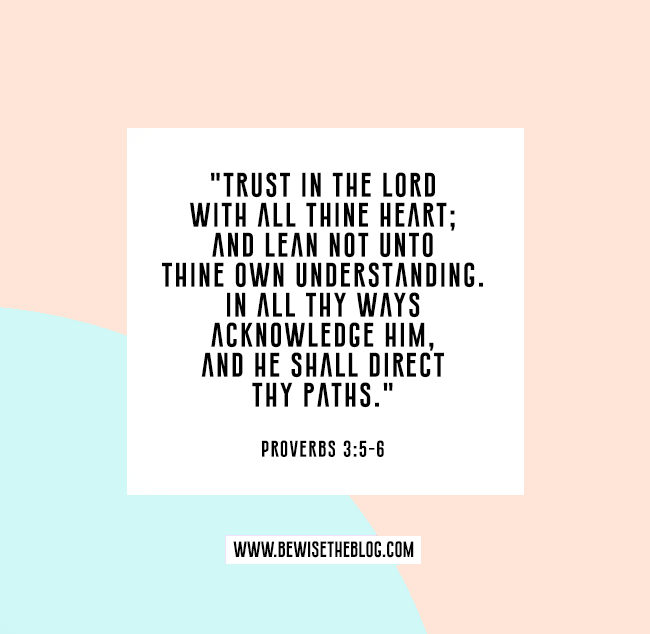 If we trust, acknowledge, and lean on God and HIS plan, we are promised that he will direct our paths. God knows what he is doing. He has all the puzzle pieces. He has all the facts. He sees the whole picture. I know that God knows where my "correct seat" is. I know that God wants me to get to my "correct seat". I know that if I TRUST, ACKNOWLEDGE, and LEAN on Him, He will "Usher" me there.